Golden ValerianDeciduous perennial. Truly golden fern-like leaves mature into bright lime green. Fla.. Hybrid MulleinEvergreen perennial. 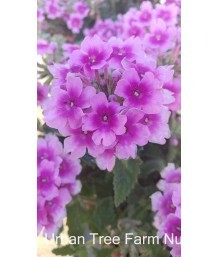 Creates a dense, round ball of gray green leaves. Bright yellow r.. Giant Silver MulleinEvergreen but short lived perennial. Sometimes considered a biennial. Woolly gre..
Ornamental MulleinEvergreen but short lived perennial. Sometimes considered a biennial. 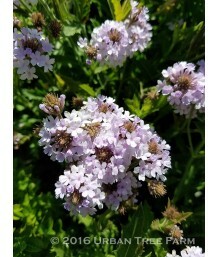 Woolly green..
Purpletop VervainEvergreen (in mild climates) perennial. Architectural habit. Slender, willowy stems.. 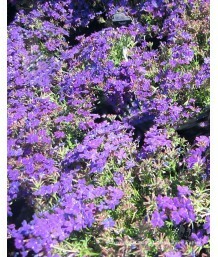 Dwarf Purple VervainEvergreen (in mild climates) perennial. Architectural habit. Slender, willowy st..
Clump VerbenaEvergreen (in mild climates) perennial. Trailing stems of dark green, slightly serrated..
Cedros Island VerbenaEvergreen (in mild climates) perennial. Frost tender. Architectural habit. Slen..
Peruvian VerbenaEvergreen (in mild climates) perennial. Used as groundcover. Dense branching with te..
Upright VerbenaEvergreen (in mild climates) perennial. Elongated bright green, slightly serrated lea..
VerbenaEvergreen (in mild climates) perennial. Multiple trailing stems of oblong green leaves with t..
VerbenaEvergreen (in mild climates) perennial. Used as groundcover. Dense branching with textured de..
SpeedwellEvergreen perennial. Low-growing mat of dark green, lance-shaped, serrated foliage. Small s.. Hybrid SpeedwellEvergreen perennial. Long green, slightly serrated leaves. 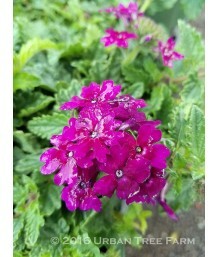 Spikes of dark purple flo..
SpeedwellEvergreen perennial. Upright habit with dark green foliage. 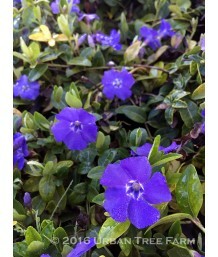 Small spikes of intense, violet..
Wooly Blue SpeedwellEvergreen perennial. Dense carpet of grey-green foliage. Tiny saucer-shaped bloo..
SpeedwellEvergreen perennial. Groundcover. Small green leaves turn bronze in the winter. 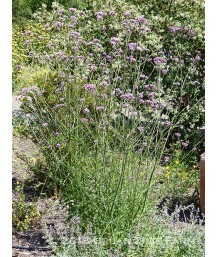 Mass quanti..
SpeedwellEvergreen perennial. 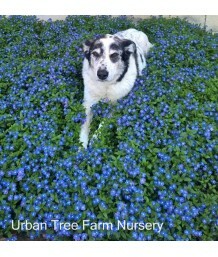 Upright groundcover. Long green, slightly serrated leaves. Spikes of i..
SpeedwellEvergreen perennial. Long green, slightly serrated leaves. Spikes of white flowers appear i..
SpeedwellEvergreen perennial. Long green, slightly serrated leaves. Spikes of light blue flowers app..
SpeedwellEvergreen perennial. Long green, slightly serrated leaves. Spikes of vivid mauve flowers ap..
SpeedwellEvergreen perennial. Long green, slightly serrated leaves. 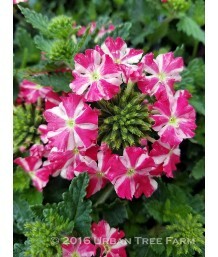 Spikes of light pink flowers app..
SpeedwellEvergreen perennial. Long green, slightly serrated leaves. 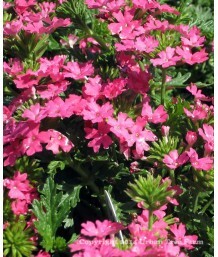 Spikes of bright reddish-pink fl..
SpeedwellEvergreen perennial. Long green, slightly serrated leaves. 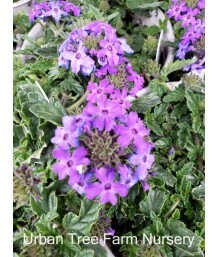 Spikes of dark purple flowers ap..
PeriwinkleEvergreen perennial. Can be invasive. Dark green, ovate leaves form spreading mats. Small .. Dwarf PeriwinkleEvergreen perennial. Less invasive than vinca major, but still spreads. Vibrant gree.. Dwarf PeriwinkleEvergreen perennial. Less invasive than vinca major, but still spreads. Dark green, .. Dwarf Variegated PeriwinkleEvergreen perennial. Less invasive than vinca major, but still spreads. B.. Dwarf Variegated PeriwinkleEvergreen perennial. Less invasive than vinca major, but still spreads. 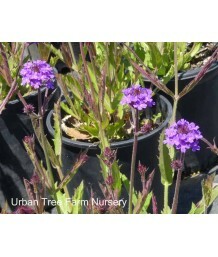 S..
California Sweet VioletDeciduous perennial. Soft green foliage forms a densely matting groundcover. ..
PansyDeciduous perennial. 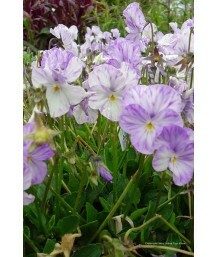 Low-growing with dark green oval leaves and very large, pansy-like, pastel..
PansyDeciduous perennial. Low-growing with dark green oval leaves and very large, pansy-like, white ..
PansyDeciduous perennial. 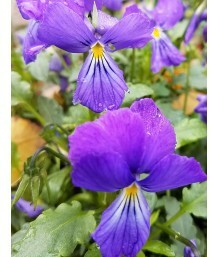 Low-growing with dark green oval leaves and very large, pansy-like, dark l..
PansyDeciduous perennial. Low-growing with dark green oval leaves and very large, pansy-like, yellow..
PansyDeciduous perennial. 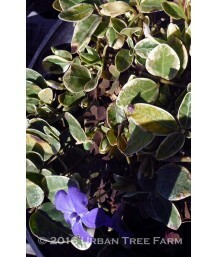 Low-growing with dark green oval leaves and very large, pansy-like, bright..
Corsican Violet/PansyDeciduous perennial. 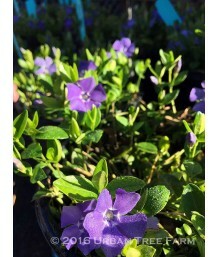 Low-growing with dark green oval leaves and very large, pa..
Labrador VioletDeciduous perennial. Very low-growing with dark green purple tinged heart shaped foli..
PansyDeciduous perennial. 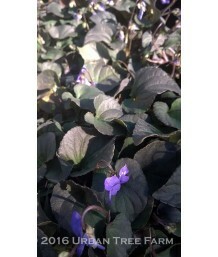 Low-growing with dark green heart-shaped leaves and very large, pansy-like..
PansyDeciduous perennial. Low-growing with green foliage and small, pansy-like, white flowers with p..
PansyDeciduous perennial. Low-growing with green foliage and large, pansy-like, yellow and burnt ora..